The President of Ukraine has also had negotiation with Biden, Kerry and Pritzker. 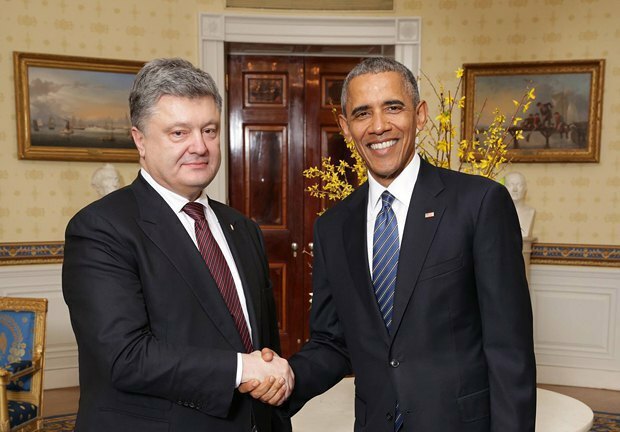 Within the framework of his visit to the USA, President Petro Poroshenko has met with American President Barack Obama. According to the President’s press service, the heads of states discussed the situation in Donbas and in Crimea, and coordinated efforts aimed at full implementation of the Minsk agreements by Russia. The presidents also discussed the development of strategic partnership between Ukraine and USA. Another raies issue was the formation of a coalition and a new government of Ukraine, which would be reforms-oriented. Obama stated the USA readiness to provide the third tranche of credit guarantees of 1bn dollars on completion of the coalition's formation. 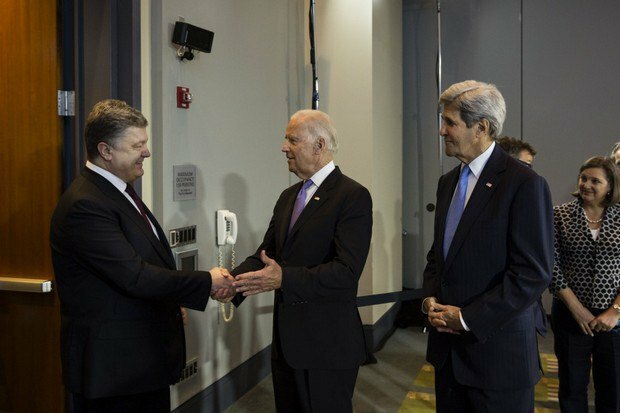 Moreover, Poroshenko had meetings with Vice President Joe Biden, Secretary of State John Kerry and Secretary of Commerce Penny Pritzker. Biden also informed about the US decision to provide additional 335 million U.S. dollars for reforms of the security sector of Ukraine. A particular attention was paid to combat operations in Donbas, release of Nadiya Savchenko, appointment of a new prosecutor-general, intrapolitical situation in Ukraine. Biden like Obama emphasized that the formation of a new government, oriented on reforms and cooperation with the IMF, opens possibilities for providing the third loan guarantee of 1bn dollars, as well as for assistance of other international financial institutions. The President discussed issues on investments and credit resources for Ukraine with Penny Pritzker. The US Commerce Ministry informed on the assistance in revitalization of the Export-Import Bank of the United States and Overseas Private Investment Corporation in Ukraine. 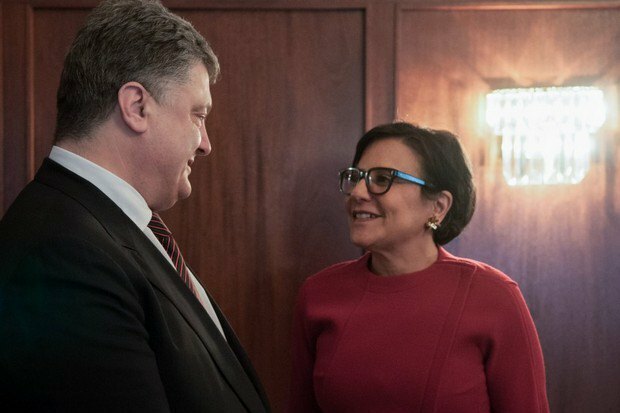 Penny Pritzker has upheld the initiative of Petro Poroshenko to establish a National Investment Council and involve leading US companies in its activity.